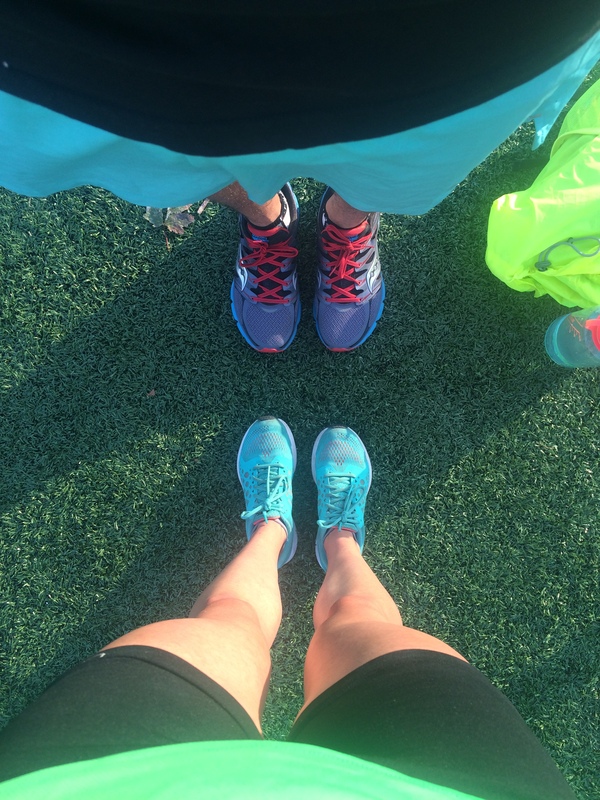 Update on Chicago Marathon 2015 Training: T Minus 12 Weeks! After the blunder at Bayshore, I took a full week to sulk and run whenever I felt like it. My uncle suddenly passed away the same week. I slowed down, shed some tears, and ran less than 10 miles that week. I felt like moving, but not moving. Processing both the race and Uncle Jim’s passing was tough. The next week, I hit reset. With 18 weeks to Chicago, I felt like I was ready to get back to it. I don’t think I’ve ever had this big of a base leading into a marathon training cycle before. OH! BEFORE I FORGET… July 20th was the horrible summer day last year when I tripped and fell straight on my right knee cap a half mile into a 15-miler. This and this will give you an idea what recovery from bursitis was like. I still can’t believe that happened or how long it took to get back to normal (or that I hobbled to/from/through a photo shoot with Competitor and Saucony the very next day). So, be mindful of tricky patches of trail/sidewalk and pick up those feet, people! And that brings us to this week! I can’t believe I’ve been in ‘training mode’ for 7 weeks already. I’m making a few changes to my training this time around. I’m extending my mid-week recovery runs to 8-10 miles. In the past, I’ve just run 5-6 miles easy in between hard workouts but I feel ready to bump that up a little bit. Getting a solid 1 hour – 1 hour 20 minutes on my feet on a Wednesday for the past few weeks was tough. At first, it felt like running through sand (and I started with 8 mi). I’m starting to get into shape again and yesterday’s 75 min run on the lakefront felt actually really good! I’ve also been wearing my heart rate monitor more on recovery runs to be sure I don’t run them too fast (goal bpm: 150-155). 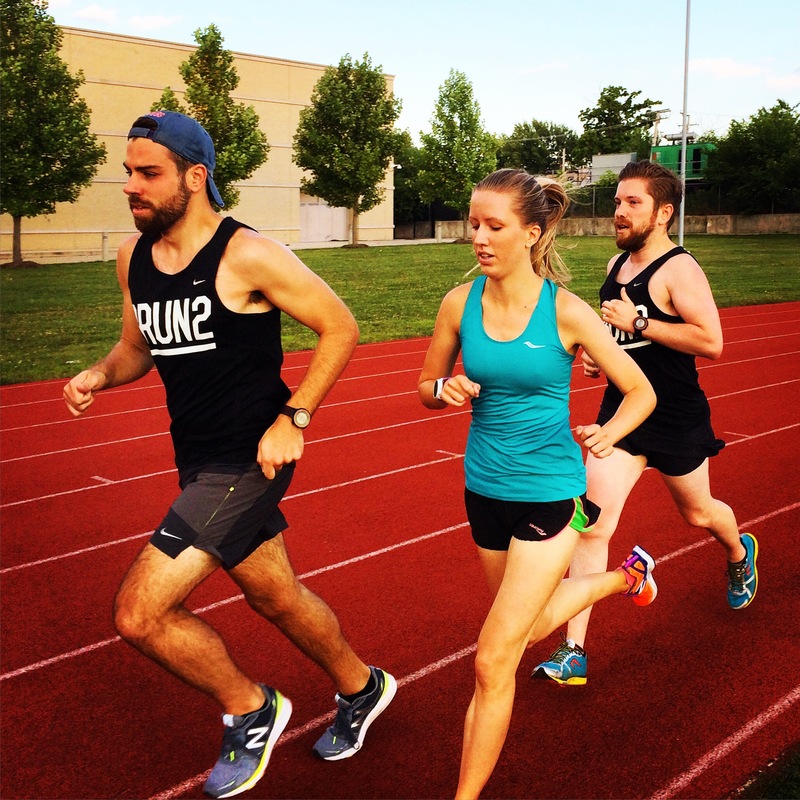 Another change I’m making is seeking out others to do speed workouts with. I’ve been to a few workouts with Syndicate and I’m really excited about what can happen in the next 11ish weeks if we continue to push each other. I think the danger in training with others is pushing *too hard*, so I’m reminding myself that running my own pace on a certain day is just what I should be doing. 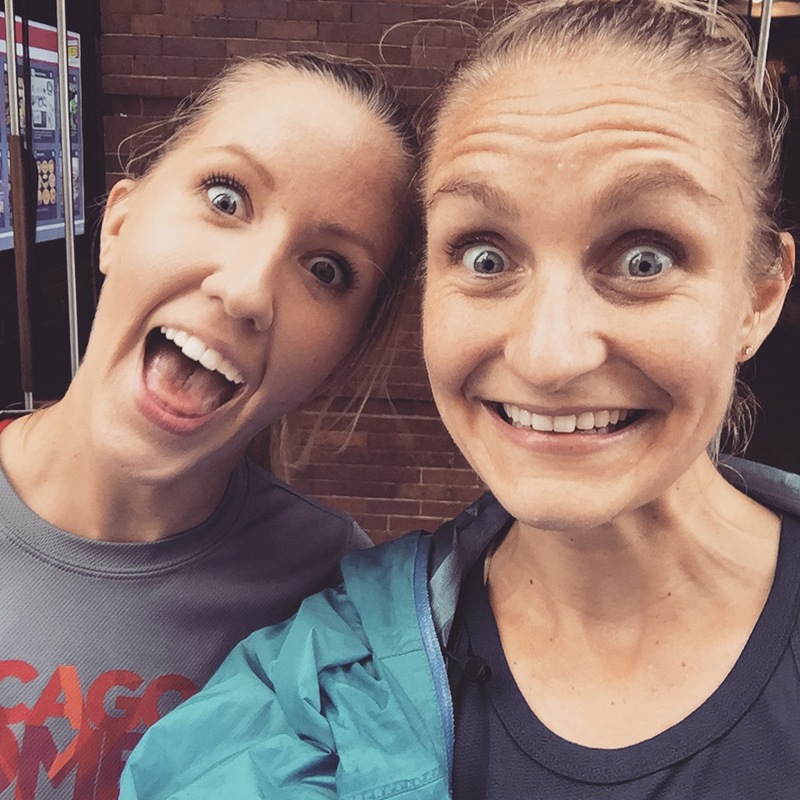 This Tuesday, I ran a 2 x (800, 600, 400, 200) workout that left me feeling surprised and confident for the first time in months. I saw times on my watch that I’ve never seen before. Soooooo that’s exciting! 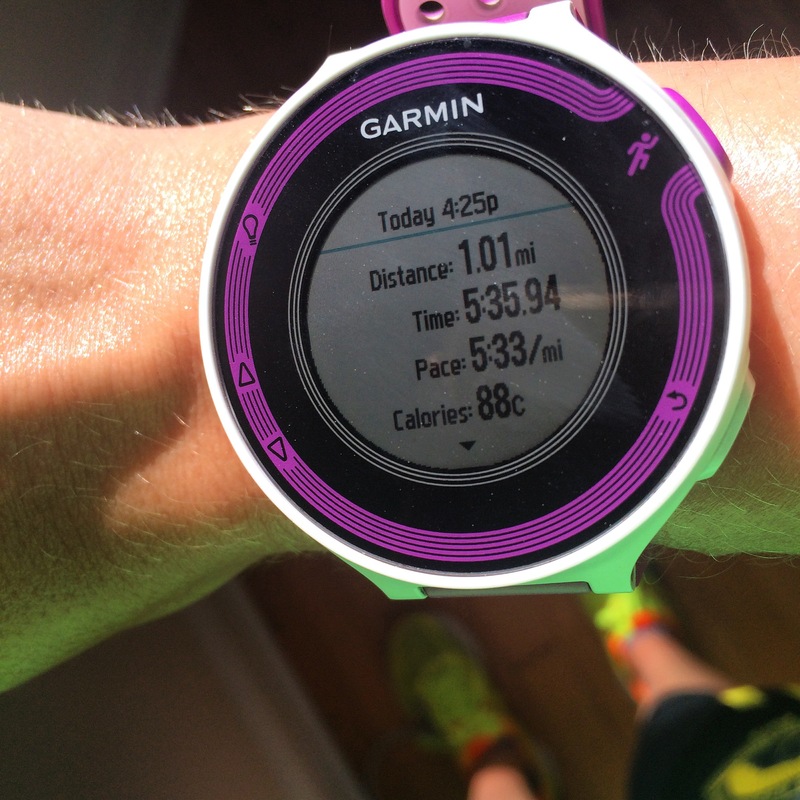 I’m also being more consistent with how I recover – including recovery shakes and ice baths. 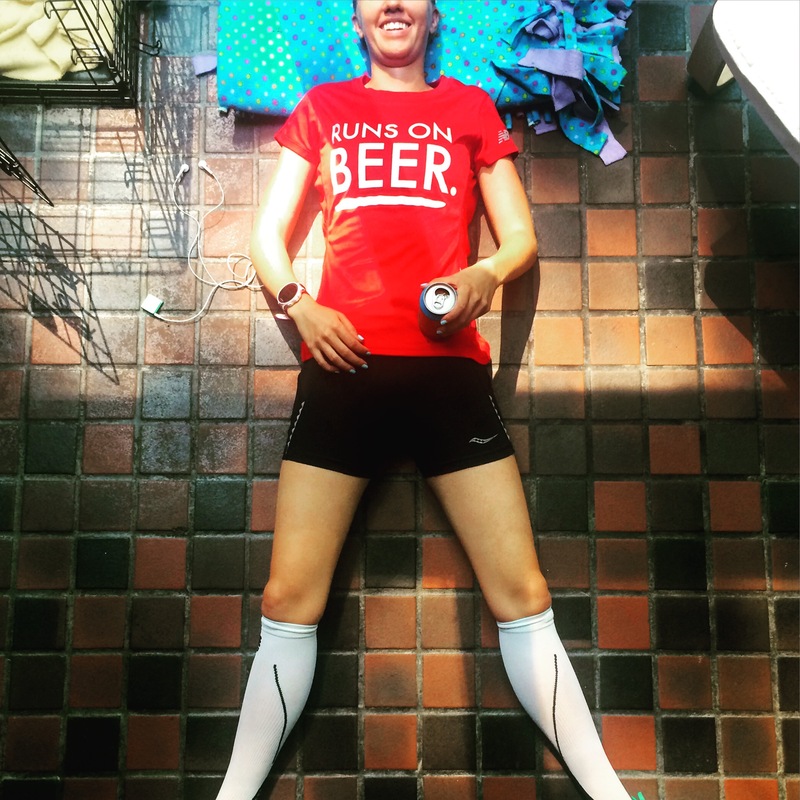 If you saw how I ate during my first marathon training cycle, you’d probably barf. I had absolutely no idea what I was doing ….OR why I was so hungrrrrrrryyyyy all the damn time. I was also really good at ‘being too tired to cook’. I’d come home from a hot, long run and crash on the couch for like 3-4 hours before I considered eating a full meal. It’s a wonder how I got through that cycle or race, really. Taking the time to plan what I’m eating for dinner 3-4 nights a week instead of sitting around and wondering what I should order from GrubHub or Seamless at 7:45 pm is a good switch, I think. (Runner’s World Cookbook is where it’s at, guys. Most of the recipes don’t require bizarre ingredients or more than 30 minutes to prepare and cook.) As much as I’ve been cooking lately, I also have a confession. I’ve been ordering delicious dinners from Sprig probably 1-2 x a week. Can’t argue with the price point, quality of the food, or the speedy delivery. It’s saved me from extreme runger approximately 7x already so I’m sold. Dare I say I enjoy ice baths now? Don’t get be wrong. Those first 2-3 minutes are pure torture, but once you can’t feel your appendages everything’s gravy. I’m making my weekly trip to CVS on Fridays for two bags of ice and I’m sure the cashier thinks I have a decent sized party with a full cooler every Friday. I won’t argue. Summer temps and humidity have finally arrived in Chicago. The whole city complained about how cold the summer was (myself included) and then we couldn’t stop talking about how gross and muggy it was outside. During a normal summer, we’d all be acclimated by mid-July so it’s a weird feeling to be fighting through it so much now. A slight lakefront breeze always helps. Runner’s World cookbook is the best. I would marry it.